Its been a week of EXTREME fun and exploration with my Clemson graduate school friends, a 33 year reunion! 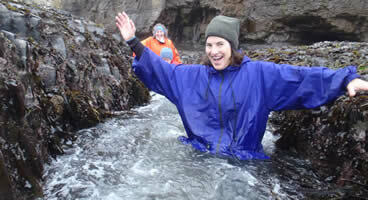 At daybreak, we headed to Davenport Landing for extreme tidepooling. From kayaking among the giants (humpback whales) to intertidal discoveries its been an amazing week! 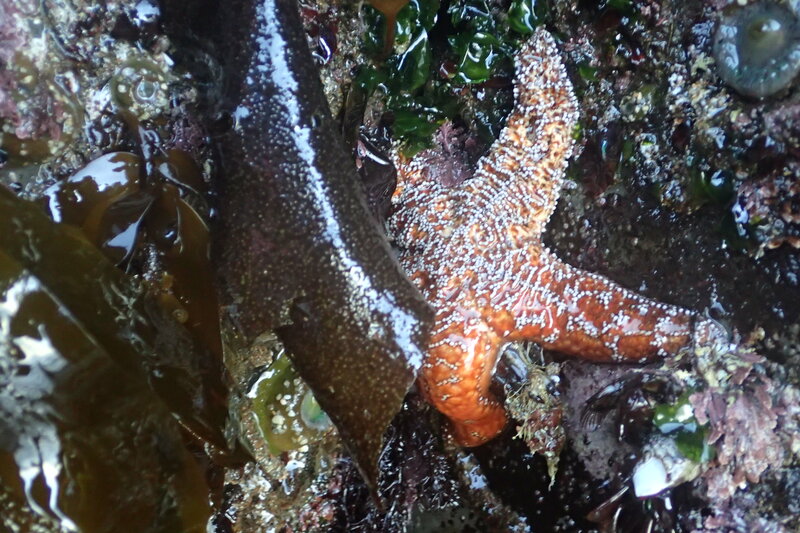 We found only one healthy ochre sea star (Pisaster orchraceus) spared from the fatal sea star wasting syndrome. Thought to be a virus effecting sea stars from Alaska to Baja, SSWS has researchers along our coast working hard for more answers. 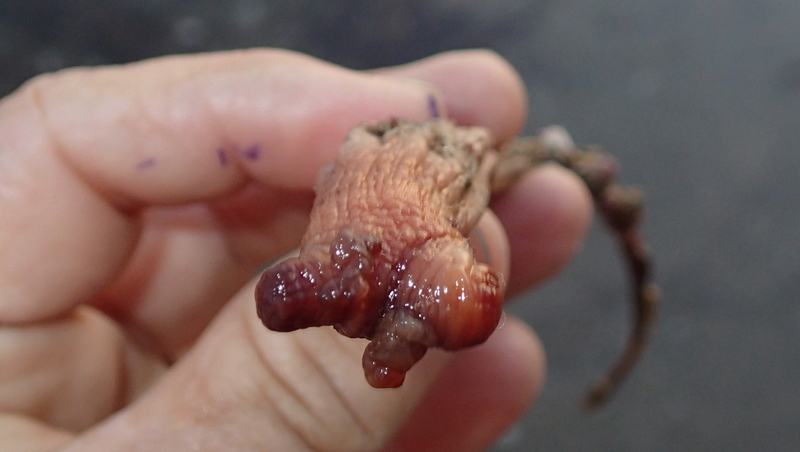 For more information on sea star wasting syndrome go to: http://news.ucsc.edu/2014/11/sea-star-virus.html. 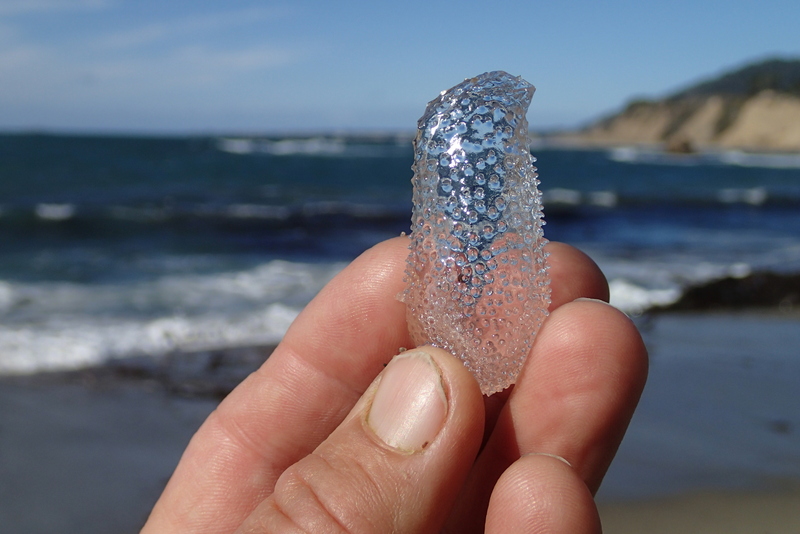 Join http://www.bluewaterventures.org on a naturalist-led adventure from California to Baja and beyond! 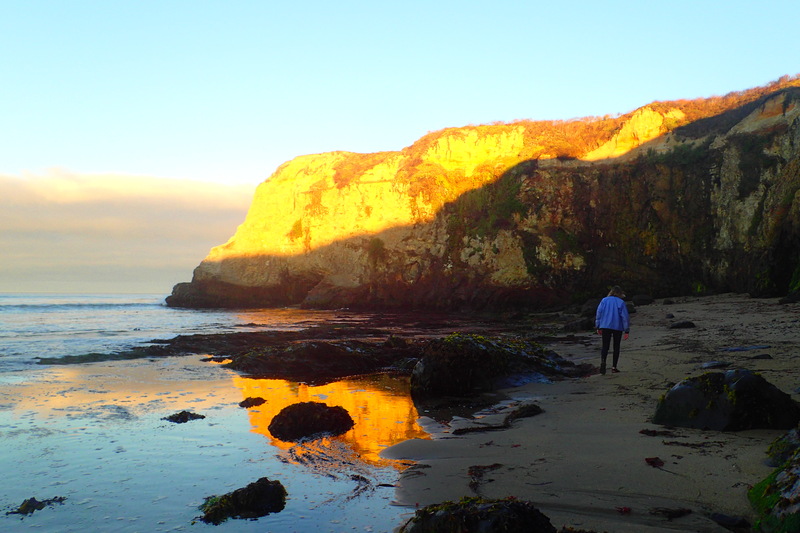 Join Blue Water Ventures as we explore the incredible diversity of California’s rocky intertidal. 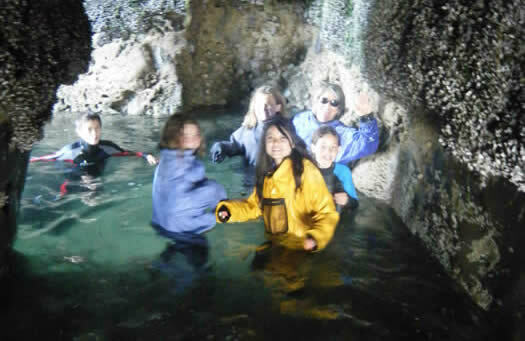 Wetsuits are recommended to “go extreme” in comfort as we scramble along the rocky nooks, crannies and caves of our coastal waters. 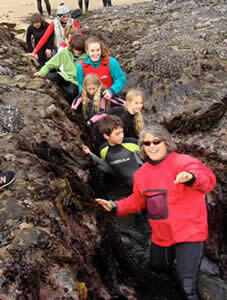 This is a great outing for groups or schools looking for an adventurous and informative day with a naturalist guide. 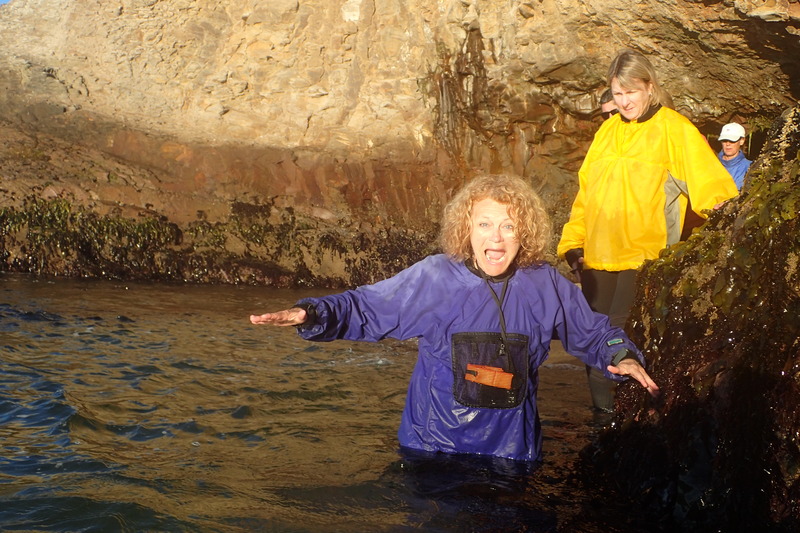 You will learn about the amazing adaptations of our intertidal inhabitants such as the feeding habits of sea stars and the mating strategy of barnacles. And remember….Adventures are for Life!